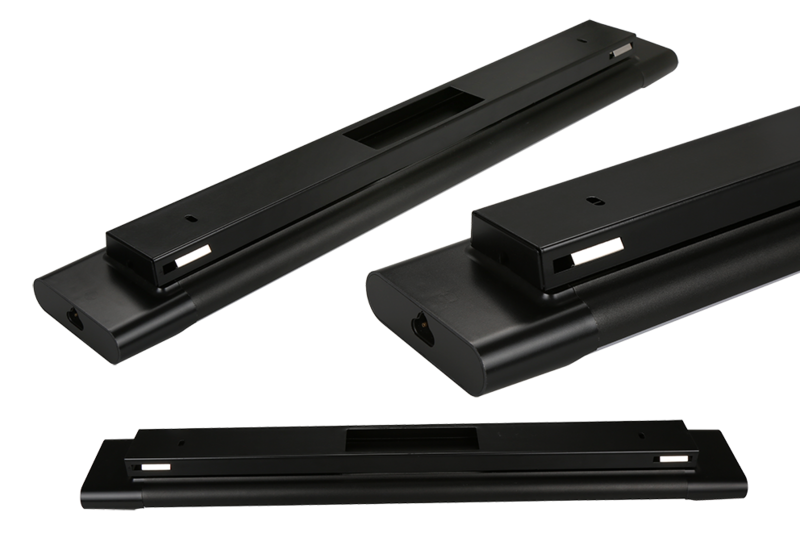 A stylish 20W LED batten with mounting accessories. Led Lights that inspire you. An aluminium LED board and high-efficiency, isolated LED driver are the driving forces in our stylish aluminium housing that has a smooth, elegant, minimalist finish. The finish of the fitting is available ineither black or silver. We offer commercial and residential customers the option of linking up to 20 units together to create a bespoke light fitting that enables you to experience full lighting in every corner. The LED chips are LM80 certified, in other words the Lumen depreciation over the time is very low. After 50,000 hours of operation, your LED fitting will maintain 80% of the original lumen when it was brand new. You can create the perfect atmoshpere by selecting a colour temperature that really suits you. We have warm white (3000K) , natural white (4000K) and cool white (5500K) which can be dimmed using using standard AC triac dimmer switches. 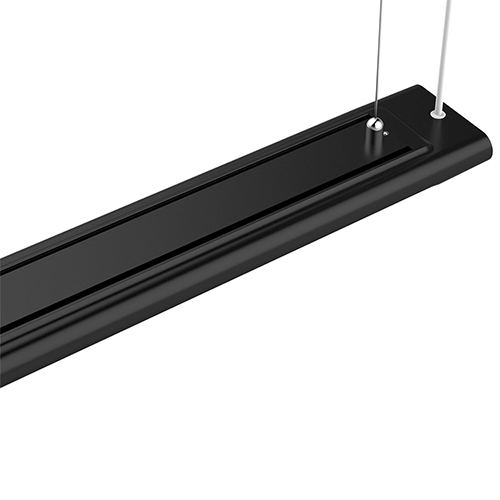 The picture illustrates a the suspended version with adjustable height. Widely used in office, meeting room, hotel, school etc.